Hair loss? 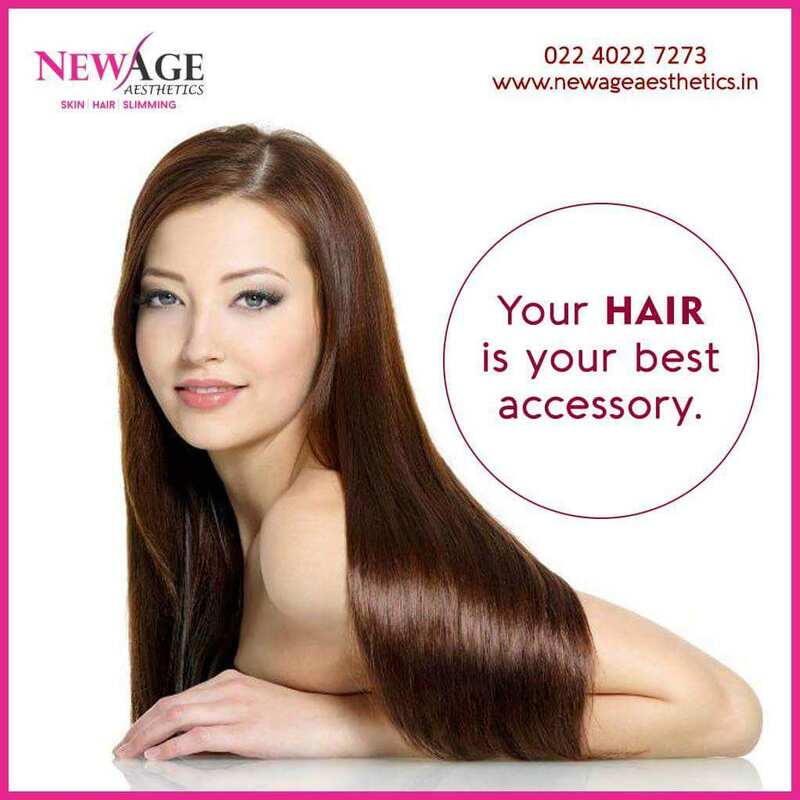 Grow your hair naturally with our non-surgical treatments. Hair Loss? Don’t Worry. Look Forward to Healthy Beautiful Hair Again. Hair loss can be irreversible. Very often by the time you notice your hair loss and your scalp is showing, you would have lost about 50% of your hair. Hence, the sooner the hair loss is recognized & hair growth treatment is started, the more likely it is to be effective. To arrest hair loss, our aim is to provide patients across the world with an understanding about their Hair Loss Problems and to encourage them to understand the hair growth treatments that they may be undergoing. Hair loss often causes feelings of frustration and concern. While solutions like hair transplants and surgical grafting exist, these invasive options may not be ideal due to their downtime. Hair loss arrest and regrowth for men and women is now available in the form of mesotherapy and platelet-rich plasma, or PRP here at NewAge Aesthetics. Your hair is your best accessory, a statement of style, an affirmation of beauty and an expression of self love. Love your hair! Mesotherapy is a non-surgical treatment for hair loss and hair restoration option for several decades. The treatment involves superficial microinjections just under the epidermal layer of skin. It is a process of injecting a vitamin solution below the skin’s surface to nurture hair’s natural growth. This activates the healing process, which causes scalp to produce more elastin and collagen. These two substances arrest hair loss and support hair regrowth. PRP is one of the most enterprising treatments for hair loss. It involves extracting blood from the patient’s arm. The blood is processed in a centrifuge machine. The PRP is separated from the whole blood and injected into the scalp. This makes it a relatively safe procedure. It drastically reduces the prospect of any rejections and/or reactions from the body, including infections. PRP can be combined with either hair transplants or mesotherapy in order to obtain the maximum benefit. • While PRP involves multiple injections of platelet-enriched plasma, for mesotherapy it is a series of injections of hyaluronic acid. • Mesotherapy involves micro-injections of vitamins in the middle layer of the skin (mesoderm), but for PRP any layer of the skin can be treated. • In general, PRP therapy is much more costlier than Mesotherapy. • Whereas Mesotherapy requires about 6-8 sessions, PRP is extended over approx. 7-12 sessions. • If PRP therapy takes an hour to complete with practically no downtime, Mesotherapy is usually done in half an hour’s time with some amount of downtime. Low level laser therapy is a safe form of light/heat treatment to arrest hair loss and thus promoting healthy hair growth. It is being used to treat the genetic forms of hair loss common in men and women, androgenetic alopecia or pattern baldness. hand-held devices like laser comb. Wash your hair with pH balanced shampoo and conditioner. Do not forget to exercise and reassess your hair density after 3 months and 6 months. Have a healthy lifestyle, balanced diet with seasonal fruits and salads. Drink 3-4 cups of green tea and eat 3-4 soaked almonds and 1-2 walnuts everyday. Use Thuja and Arnica hair oil to massage your scalp. To opt for any therapy first you have to understand the reason behind your hair loss. There are certain conditions especially in women such as child-birth after which the growth become normal and return back to the normal condition after sometime. The doctor will note down a thorough history of the patient and provide some tests to find whether you need a hair growth treatment. Hair loss treatments links for more information. 1. Hair is made up of a tough protein called keratin. 2. Hair is 50% carbon, 21% oxygen, 17% nitrogen, 6% hydrogen, and 5% sulphur. 3. When wet, a healthy strand of hair can stretch an additional 30% of its original length. 4. Hair grows slightly faster in warm weather, because heat stimulates circulation and encourages hair growth. 5. All hair is dead, with the exception of the hair that’s still inside of your scalp. 6. Hair contains information about everything that has ever been in your bloodstream, including drugs, and is one of the most commonly used types of forensic evidence. 7. The only thing about you that can’t be identified by your hair is your gender, men’s and women’s hair are identical in structure. 8. Black is the most common hair color. Red is the rarest and only exists in about 1% of the world’s population, with blonde hair found in 2%. 9. As soon as a hair is plucked from its follicle, a new one begins to grow. 10. Hair can grow anywhere on the human body with the exception of the palms and soles, eyelids, lips, and mucous membranes. 13. Balding only begins to become visible once you’ve lost over 50% of the hairs from your scalp. 14. At any given time, 90% of the hairs in your scalp are growing, while the other 10% are resting. 15. A single hair has a lifespan of about five years.